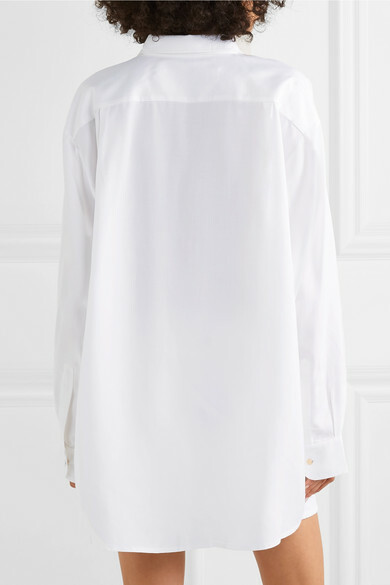 Jacquemus' shirt is part of the French designer's 'La Riviera' collection that's as summery as it sounds. 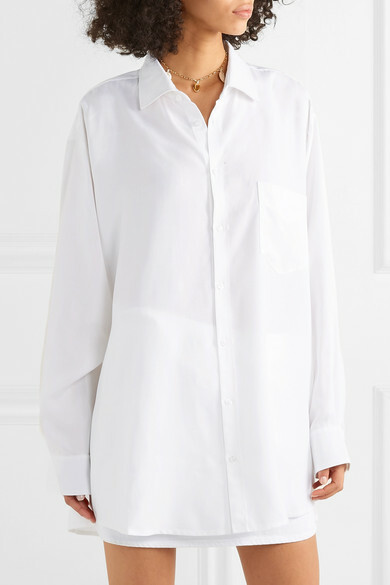 Worn on the runway in Paris, it's cut for an oversized fit from crisp white poplin and has a faux patch pocket. Wear it with at least three top buttons undone. Shown here with: Jacquemus Skirt, Jacquemus Tote, Jacquemus Sandals, WALD Berlin Necklace.